Serving a mission is a life-changing experience, but when missionaries come home, their lives tend to lose structure. Schedules change quickly, languages and lifestyles are different, and no post-missionary handbook exists to tell these young adults what their new identity and purpose should be. BYU Psychology Alumni Andrew Proctor became distinctly aware of these trials when he posted a satirical article titled “Unmarried Returned Missionaries: New Option to Apply for Second Full-time Mission” on ldsmissionaries.com as an April Fools joke in 2015. The article quickly went viral among the LDS online community, generating over 600,000 organic impressions on the website’s Facebook page and eliciting numerous personal responses. While some individuals were upset that the issue was a joke, Proctor also received a number of emails from hopeful RMs who wished that this joke was a reality. “The most important thing that a returned missionary can do when they get home is solidify their identity,” shared Proctor. 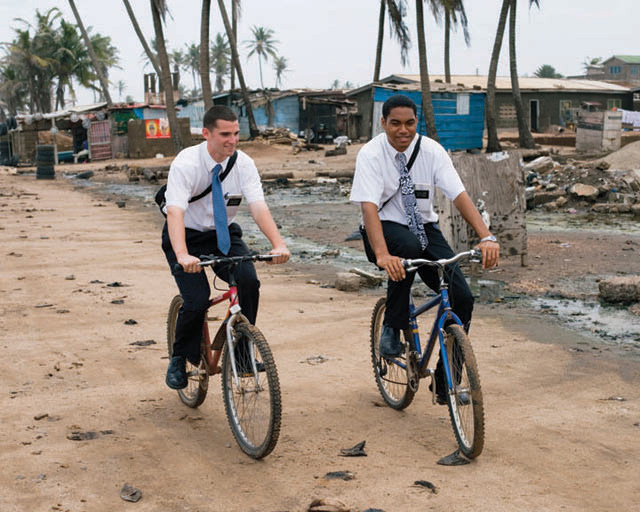 Return missionaries are bombarded with questions about their future education, job, and marriage, but are these questions about the future justified when the RM has not solidified who they are in the present? “Marriage is important, but even the most hard working, intelligent, righteous, and effective missionaries can have very strained marriages if they don’t figure out who they are after the tag comes off.” This is a key point made in the first chapter of Proctor’s book Live Your Mission: 21 Powerful Principles to Discover your Life Mission After Your Mission. In order to share your identity with others, you must first acknowledge and accept it yourself. Turn the compassion you showed to others on your mission towards yourself, embrace who you are, share yourself with others, and then, let God take care of the rest. Since leaving BYU after he got his psychology degree, Andrew Proctor has delved into the social science of human flourishing. Taking his further education into his own hands, Proctor continues to learn about positive psychology by teaching others. He has done multiple podcasts and was recently featured in the Mindfulness and Motivation section of the podcast app Anchor.fm. He was also part of a paper that was published in the journal Mindfulness and was able to present this research in Montreal at the 5th World Congress of Positive Psychology in July 2017. Proctor continues to learn, teach, and reach out to those around him by sharing positive quotes and science-backed happiness facts on his Instagram page. He also just launched the beta version of his course on “finding more happiness by increasing positive emotion.” The course is based on the PERMA (Positive Emotion, Engagement, Relationships, Meaning, Achievement) theory of well-being and is the first of five courses that will become available over the next several years.